With the sun rising proudly up into the sky early morning, spreading its glorious colourful rays on the water, some are setting their boats ready for fishing; others are starting their day with a morning stroll along the sand and shores of the Whyalla Foreshore, Point Lowly and Fitzgerald Bay. In the daytime, on a hot summer's day, the sea with its blue / green moving water along the beach, is an enticing scene. The water is clear and clean as glistening glass, the gentle waves eagerly push one another to touch the still smooth sea sand, as if they were trying to say something secret about the sea to the sand where people stay, play and relax. 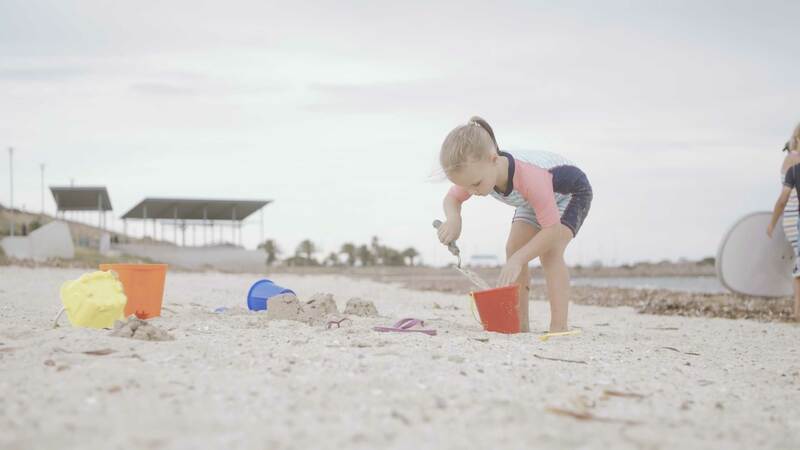 Whyalla beaches provide fun for families and recreational relaxation pursuits for everyone. Camping, fishing, beach cricket, swimming, walking, sunsets and sand castle building are all supported with BBQ’s, camping grounds, boat ramps, playgrounds and toilets with Whyalla even boasting a Lighthouse at Point Lowly. Heritage listed, the lighthouse and Lighthouse Keeper cottages where you can stay and play in the sand are the oldest buildings in Whyalla.